Background: If there is one issue on which all political parties agree, it is the imperative to include overseas Indians in India’s economic development and to take care of their needs and aspirations. Successive governments have been vying with each other to give more and more concessions to them as acknowledgment of their contribution by way of remittances, investment, lobbying for India, promoting Indian culture abroad and for building a good image of India by their intelligence and industry. India was initially sensitive to the view that championing the cause of overseas Indians might offend the host countries, who should be fully responsible for their welfare and security. 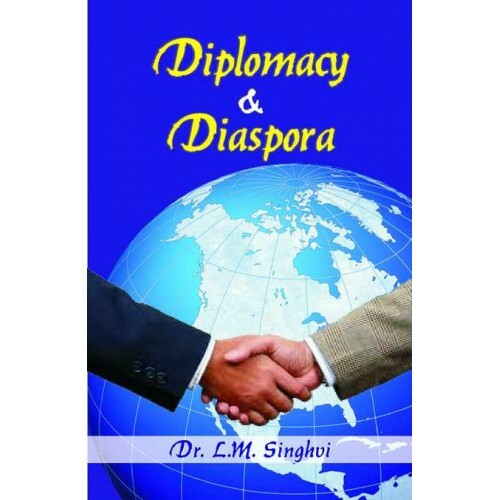 The Indian community and our diplomatic missions interacted on national days or other important occasions, but diaspora diplomacy was low key. Rajiv Gandhi was the first Prime Minister who changed the diaspora policy by inviting Indians abroad, regardless of their nationality, to participate in nation-building, much like the overseas Chinese communities. In return, he promised them opportunities to work with India, like in the celebrated case of Sam Pitroda, who was entrusted with the task of modernizing telecommunications in India. The response was not ecstatic, but many volunteered to help out in various ways. But this brought to focus the many inadequacies of the Indian system for the diaspora to collaborate with India or to invest in the country. Grievances like red tape, multiple clearances, distrust of government in fulfilling promises were addressed through hesitant reforms and promotional measures. The first test of the new diaspora policy came in 1987 when Sitiveni Rabuka ousted a Fiji Indian majority government in Fiji and reduced them to second-class citizens. Rajiv Gandhi, in a major departure from established policy, protested vehemently, imposed trade sanctions against Fiji, got it expelled from the Commonwealth and raised the issue at the United Nations. This bewildered those Fiji Indians who did not want to disturb the race relations in Fiji, but energized the Indian diaspora, generating faith in them that India would not be a silent witness, as it was in the past, to discrimination, racism and disenfranchisement of Indians abroad. The Indian position was instrumental in democracy and racial harmony returning to Fiji after 10 years. After India and the overseas Indians rediscovered each other under Rajiv Gandhi, there came a host of measures such as a separate Ministry of Overseas Indian Affairs, the Person of Indian Origin (PIO) Card, Pravasi Bharatiya Divas, Pravasi Bharatiya Samman Award, Overseas Citizen of India Card, NRI funds and voting rights for Indian citizens abroad, some from the United Progressive Alliance and some from the National Democratic Alliance governments. The response from the diaspora was diverse, as these affected different categories of Indians in different ways. For the Indian nationals in the Gulf and elsewhere, welfare measures and resettlement facilities were more important, while the prosperous communities in the West, who were clamouring for dual citizenship, felt short-changed. But, on the whole, they were energized into espousing Indian causes in the U.S. Of course, their support to Indian interests was not automatic and they often urged India to modify its policies to suit American sensitivities. Indian-Americans contributed little by way of remittances or investments, but the establishment of the India Caucus in the House of Representatives and turning around doubting legislators into voting for the India-U.S. nuclear deal were major accomplishments. Prime Minister Narendra Modi made the diaspora a centrepiece of his foreign policy and, during his foreign visits, addressed mammoth meetings of the community to project India’s priorities and needs. But he did not address any of their demands or announce any new plans for removing their grievances like travel issues and protection of their properties in India. If anything, the merger of the Ministry of Overseas Indian Affairs with the Ministry of External Affairs, though pragmatic, has been construed as a negative step. The irregularity of diaspora conferences and awards has also caused some concern in the diaspora. Together with the new hopes and expectations raised by the government, there are new fears and concerns among and about the overseas communities. The volatility in West Asia, together with the fall in oil prices, has caused fears of a massive return of Indian nationals, curtailing remittances and making demands on the job market. In Kerala, for instance, workers from other States have bridged the demand-supply gap in various sectors. The Gulf countries will require foreign workers for some more time, but India’s relations with many of them remain in the employer-employee mode. Of course, it was heartening to see Saudi Arabia resolve a serious issue relating to a starvation among Indian workers, but we should be ready for the eventuality of Indian workers returning, though a massive “Indexit” is unlikely. A recent phenomenon is that of “discovering” Indians wherever there is a crisis. India does not have any precise data on the number of Indians in different parts of the world. The amount of risks that Indians are capable of taking to get medical education, for instance, is phenomenal. Whether it is in Ukraine, Yemen or Syria, Indians are discovered eking out an existence in difficult circumstances. General V.K. Singh (retd. ), Minister of State for External Affairs, has become virtually the Chief Repatriation Officer, flying into hotspots with chartered flights to rescue Indians and bring them home. He was often bewildered when many Indians refused to use the facility for return and insisted on staying on in difficult situations either to seek alternative jobs or to settle their claims. Back home, disquiet has been expressed that public money is being spent on bringing people who have gone on their own for their benefit. Even more serious is the suspicion that some Indians are travelling to the Islamic State areas either to join the jihad or to settle there in what is considered a Promised Land. Adventurism of this kind needs to be stopped. We used to take pride in the fact that Indians never joined terrorist organizations, but the latest trends are very disturbing. The dilemma for India is whether movements of Indians abroad for education or employment should be curbed. This will be against the spirit of freedom; but there should be at least an accurate count of Indians in different countries and projections should be made of future prospects. States must be prepared with plans for rehabilitation of Indians, with the possibility of offering the same kind of jobs they were doing abroad. Asking them to turn into entrepreneurs overnight would be counterproductive. There should also be a clear division of labour between the Central and the State governments in crisis situations. Conclusion:The Indian diaspora is more prosperous than before and its involvement in India’s development is increasing. Indians overseas are conscious of their opportunities in India. At the same time, new fears about scaled-up return of Indians or their involvement in global terrorism are raising their heads. Firefighting is not enough. We should have a comprehensive plan involving both the Centre and States to invest remittances intelligently and to find alternative ways of livelihood for those who return.